"At his residence in Moore County on the evening of the 30th ultimo [Jun 30], in the 75th year of his age, Neill McIntosh Sen. In his demise society has been deprived of an excellent citizen - his wife the best of husbands - his children of an affectionate father - and those having the good fortune to know him, of an endearing and unflinching fried. Well may it be said of him that a goo dman has gone to rest, leaving many a tearful eye to join his aged spouse and realtions in weeping over a neighbor's grave." Estate of Neil McIntosh, Dec'd. by Adminsitrator John J. McIntosh. Notes due on the following: William Stewart, Donald Street, Corn. Dunlap, Saml. J. Person, Jesse Bean, John Morison, John Tyson, Thomas B. Tyson, C. H. Dowd, Colin McIver, Alexr. Kelly, Quimby Sowell, John McLeod, Samuel C. Brewer, M. B. Person, William Hancock, John Coker, Jesse Hedgepeth, Jacob Stuts, William R. Sowell, Saml. McIntosh, R. M. McIntosh, D. N. R. McIntosh, Neill McNeill, Henry Arnold, Mary B. Sowell, Bryan Boroughs, Danl. McNeill, Alexr. McIntosh, Alex. C. Curry, Angus Curry, Duncan McIntosh, John B. Kelly, Duncan Murchison, Saml. J. Jackson, George D. Ritter, James Johnson, William Oldham, Michael Cockman, Henry Stuts, James Stuts, Duncan M. Kennedy, Duncan Black, William Cagle, Levi Wright, A. Stutts, Christopher Stutts, Jas. H. Muse, K. Morrison, John McNeill, Thomas Nalls, A. S. Moody, Daniel McNeill, Aaron Kennedy, John B. Kelly, Martin Sheffield, John Sheffield, Hiram Hill, A. Hunsucker, Wm. Dannielly, John Cockman, Isaac Smith, Dempsey Sowell, D. Street, Edmund Holland, Stephen Berryman, M. B. Curry, George McIntosh, Joel Sullivan, Wm. H. Muse, D. Muse, Lewis H. Ritter, A. J. Ritter, Elizabeth Davis, Angus B. Kelly, Angus McDonald, James Ray, Kenneth Black, Nevin Ray, Isabella McLauchlin, Jas. Riddle, Nathan Fry, Neill Peterson, A. Stutts, M. W. Boroughs, J. R. Cameron, P. Cameron, Benjamin Phillips, Lochart Fry, Susanna Muse, D. F. Muse, William Brown, John Brown, Jesse Sowell, Hugh Mathews, A. T. Sowell, Carrol Brady, Robert Taylor, L. B. Curry, William Danielly, Robert Melton, Neill McLeod, Saml. McDonald, Danl. McMillan, Jas. Melton, Charles C. Chalmers, Danl. McDonald, John Medlin, Lewis Lawhon, Isaac M. Sowell, John A. McLeod, Dr. F. Muse, Susanna Muse, John Patterson, James Dowdy, Benjamin Medlin, John Patterson, John J. Alston, Saml. Dunlap, James Dunlap, Leonard Hare, Isham Hare, Leonard Stuts, Daniel C. Kelly, Phillip Wilson, Neill Mathews, John Stafford, James Riddle, John R. Stricklin, Jesse Hannon, Murdock C. Smith, C. D. Smith, Smith Sullivan, Jas. Gaines, John Ritter, John Dunlap, Hiram Sheffield, Jno. Kennedy, John Muse, John M. Curry, Danl. Caddell, E. McIntosh, Everitt Sheffield, Thomas Hill, Green B. Fields, Isham Sowell, Swain Cox, George Williams, Jerry Williams and Duncan Black. 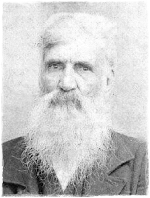 Items were purchased by the following: George McIntosh, Quimby Sowell, Mary McIntosh [Widow], John Medlin, Samuel McIntosh, Neill McIntosh, George Hunsucker, Dempsey Sowell, William J. McIntosh, Green B. Fields, Duncan McIntosh [Taylor], Mathew Davis and William R. Sowell. Moore County, NC - Mary McIntosh v. John J. McIntosh and others, heirs at law of Neill McIntosh, Dec'd. Petition for dower. Appearing that Alexander McIntosh and William McIntosh, heirs of Neill McIntosh Dec'd., defendants, are not residents of the state. They are summoned to appear at the courthouse in Carthage on the fourth Monday in January. Angus McCaskill and wife Mary deeded John J. McIntosh 1/12 interest in the estate of Mary's father Neill McIntosh including  200 acres  95 acres granted to Farquard Campbell  49 acres adjoining William Barrett and Daniel McQueen  80 acres located East of Richland Creek granted to Neill McLeod adjoining Ferquard Campbell, McLeod and Ritter  20 acres [part of McLeod and Ritter's 100 acre grant] adjoining Samuel McIntosh and William McIntosh  50 acres on Richland Creek known as part of the Davis land. Saml. J. McIntosh was a witness. John J. McIntosh and others v. Exparte. Nevin Ray, Jesse Bean Esq., Neill Caddell, Neill Dunlap, Alex Kelly and Amos Jessup appointed to divide the land into eleven equal parts and allot to each petitioner: John J. McIntosh, Samuel McIntosh, Martha Sowell, William McIntosh and Daniel McIntosh; allow John J. McIntosh the shares drawn by Duncan McIntosh, Alexr. McIntosh, George McIntosh, Mary McCaskill and Ruthy Ann Sowell he having purchased their undivided interest; allow Wm. R. Sowell the share drawn by Christian Melton he having purchased her undivided interest. Neill, born "Old Christmas Day" (January 6) 1772 on the Isle of Skye Scotland. died 29JUN 1846, age 74 years, 5 months and 23 days. Neill is buried in the Old Scots Burying Ground near Carthage. He married and settled on Richland Creek beginning about 1799, he also purchased land on McClendon's Creek. Neil McIntosh was well known in the community and considerable additonal information concerning him can be found in Rassie Wicker's "Miscellaneous Ancient Records of Moore County, N. C." Neill's wife was Mary Jackson (b.26AUG 1782, died 29MAY 1855) age 72 years, 9 months and 3 days, her grave is next to her husbands. Mary married Neill about 1799. She was the daughter of William Jackson who lived on Little Juniper Creek about 10 miles southwest of Carthage. William Jackson had a brother Samuel who also had a daughter Mary; she married Neill's brother Alexander. Neill and Mary had 12 children, the ages of some, I do not have. The order in which they appear does not intend to accurately indicate their order of birth. Mary was 43 years of age when she had her last child, Daniel, and "idiot". Daniel lived with his mother until she passed away.